The only way to anticipate a consumer’s needs is by knowing the consumer. Knowing their education background, their occupation, their worries and concerns, their needs, what challenges they face and what social medias they use helps us to better figure out in what ways we can help them. In marketing, the Buyer Persona is a semi-real representation of our consumers; helps us to better know and understand people within our target market who we want to attract and eventually convert. In order to be able to adjust advertising to a client’s needs, it’s very important to develop the Buyer Persona within the Funnel Advertising Methodology. By this we mean that we should have a very well-defined prototype of the semi-real persona who could be an actual client. Once established, we can then create relatable and/or relevant content throughout each stage of the funnel. 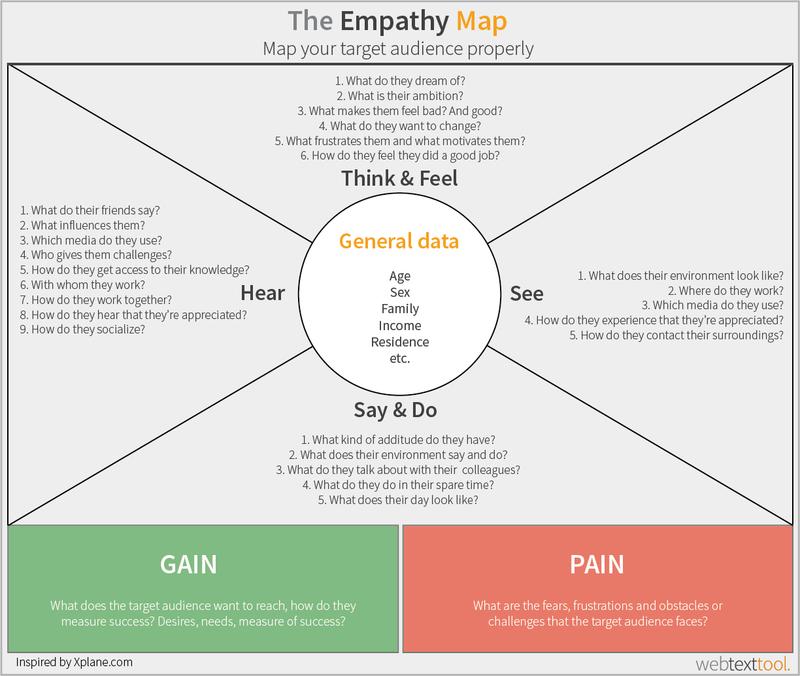 In order to create an accurate Buyer Persona, we need to create a list of the appropriate questions: Where do you live? What type of work do you do? What’s your job title? What’s your job history? What’s your family situation like? What are your ambitions? What are your hobbies? What worries you? What are your “pain points”? So on and so forth. The first step in the pursuit of the client is acquiring data through interviews. Current clients are already using our product or service and, therefore, are a fantastic representation of real-life users. Not only can they help us learn about what needs are met by our product, they also help us to know how products could be made better in the future. Potential leads haven’t quite taken the leap to become clients, but we know they are interested in what we offer – they have given us their information. This is just one way to get to know them better. Focus groups, or in-depth interviews of people who embody the target segment. Marketing Messages: how would we present our company’s solution to this ‘person’? Sales Messages: How would we sell them on this solution? What are their Pain Points? Finding the driver which motivates a user to carry out any given search. Carry out client surveys either in person or online. Find the right keywords related to the consumer’s Pain Points (this will help in the optimization of the whole campaign). Lastly, try to use a tone of voice and vocabulary which would allow your persona to grow and adapt. Also, give your persona a name and an picture that might represent them well. The more real, the better.